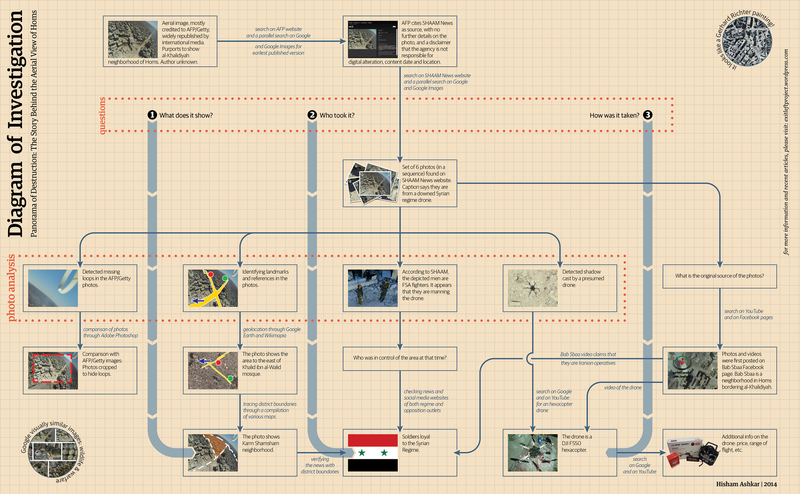 This infographic plots the line of inquiry and methodology we adopted to investigate a widely-circulated aerial shot of Homs. 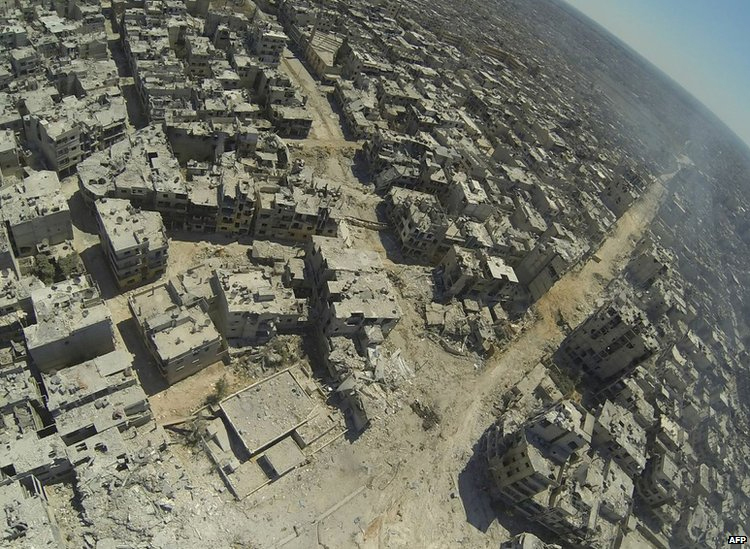 To read the original piece, please click on the aerial image (direct link). For a larger view, click on the infographic below (direct link). Since then, at least 20 chemical weapons attacks have been alleged by opposition supporters, as well as by the regime, causing limited fatalities. That was until yesterday, 21 August 2013, when an apparent chemical weapons attack on multiple suburbs of Damascus caused fatalities ranging from 200 to 1,400. Chemical, but not “Conventional Chemical Weapons”? The Times was the first major western publication to cast doubt on the claim that “conventional chemical weapons” had been used.